Instant Noodles - Instant gratification but what about the fat, salt and other stuff? Never before have instant noodles been a subject of such speculation. The recent controversy around Maggi has brought the whole breed of instant noodles under the scanner. Many of us – never ones to question the goodness of our favourite noodle brand – are suddenly conscious, confused, etc., trying to separate fiction from fact (and paranoia from the noise). For sure, none of us thought of noodles and ‘healthy’ in the same breath, but perhaps some brands were pushing it a bit too far by making hyperbolic claims with regard to calcium and proteins and iron and fibre and suchlike. Noodles were had for fun and were meant to be a once-in-a-while snack—they were neither all good nor all bad. The ever-increasing consumption of instant noodles and the number of brands entering the market pointed to a different trend, though. It was time to check the veracity of brands’ claims, so we could have our noodles in peace, without doubts niggling at the mind. Often high in sodium, saturated fat, carbohydrates and preservatives, instant noodles should be anything but the go-to food that some of us have made it out to be – but then, if we have to choose one, which one should it be? There is no specific national standard for instant noodles. However, on 8 June 2015, FSSAI issued an advisory listing out the parameters to be tested. The Consumer Voice test programme is based on this advisory as well as Indian Standard IS: 1485: 1993 (for macaroni, spaghetti, vermicelli and egg noodles) and the respective product claims. The tests were conducted at an NABL-accredited laboratory. We purchased eight brands of instant noodles (with masala) from the retail market. Two of the brands were atta noodles. We tested the brands on a host of parameters including total protein, heavy metals, acid-insoluble ash, calcium, iron, fat, carbohydrate, sodium and, yes, MSG (monosodium glutamate – the thing that, along with lead, was in the eye of the Maggi storm). Apart from the physicochemical aspects, we gave high weightage (25%) to the sensory tests. Based on the overall test findings, Maggi is the top performer followed by Reliance Select and Top Ramen (atta). Maggi also topped the sensory tests. Wai Wai was liked least in these tests. Wai Wai was found high (beyond the specified limit) in total ash excluding salt. Most brands did not list the amount of sodium on their packets. Heavy metals and aflatoxin were not found in most of the brands, the exception being Patanjali, where traces were detected but these were well within the permissible limits. Cooking time was lowest in Wai Wai (two minutes) and highest in Reliance Select (four minutes). Except Wai Wai, all brands took more time than their claimed cooking time. As per dietary guidelines for Indians, the visible fat intake in diets can go up to 50 gm/person/day based on the level of physical activity and physiological status. Adults with a sedentary lifestyle should consume about 25 gm of visible fat, while individuals involved in hard physical work require 30 gm to 40 gm of visible fat. So it is advisable that noodles be consumed in moderation. Noodles are ‘snack’ foods and so it’s best to reduce consumption. In any case, instant noodles can serve as breakfast or evening snacks but not as main meals. Check the shelf life. It varies from brand to brand. High salt is added to noodles through the seasoning supplied in sachets. You can reduce the sodium content by using a minimum amount of seasoning, preferably half of the sachet. You can increase the protein value of noodles by adding an egg or a small amount of soya products such as tofu or soya nuggets. Add vegetables and fruits either for garnishing or as an accompaniment. Food Safety and Standards Authority of India (FSSAI) is working on new regulations for quality standards of instant noodles to better regulate the quality of the tastemaker and other ingredients. This is the first time that quality standards will be set specifically for instant noodles. So far, there have been one common standard for various kinds of ready-to-cook products including noodles. You can see list of our CV Comparitive Test Instant Noodles below, perform Side-by-Side comparison. If you need further help, do have a look at Conzumr Guides and Tips. Alternatively you can view all Noodles to choose your own favourites. The basic preparation method of instant noodle is simple enough: it has wheat flour and/or rice flour and/or other flours and/or starches as the main ingredient, with or without the addition of other ingredients. It may be treated by alkaline agents. It is characterised by the use of pre-gelatinisation process and dehydration either by frying or by other methods. Atta noodles are made with atta (the coarse product obtained by milling or grinding wheat); most other noodles are mainly made with maida (the fine product made by milling or grinding wheat). Atta contains more dietary fibres than maida. Hence, atta noodles are better than maida noodles. Monosodium glutamate (MSG) is a food additive that is generally used to enhance flavour and is primarily used in Chinese food, canned vegetables, soups and processed meats. Too much MSG in food can lead to serious issues, especially in children. The jury is out on the long-term impacts of MSG, but in the short term it can cause hyper-tension, palpitations, nausea and headaches. It can also cause weight gain and liver inflammation and have other serious health implications. Protein is an essential nutrient. It plays an important role in the cellular maintenance, growth, and functioning of the human body. A higher quantity of protein is considered to be better. The highest amount of protein was found in Patanjali Atta (10.6%) and the lowest in Top Ramen (9.2%). Acid-insoluble ash indicates the dirt and dust remaining in the product. As per the FSSAI advisory, acid-insoluble ash should not be more than 0.1%. 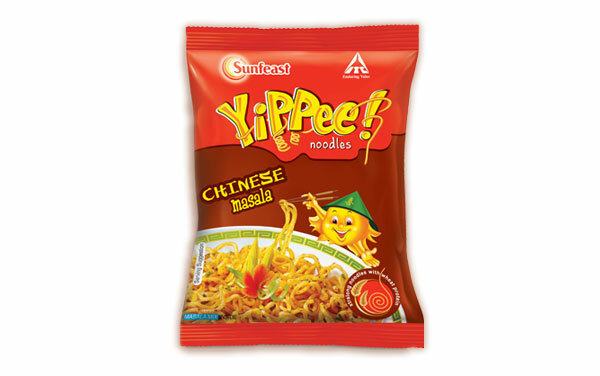 The test was conducted mixing both noodle and seasoning masala. Acid-insoluble ash in the tested brands varied between 0.02% and 0.05%, which was well within the prescribed limit. Maggi, Yippee, Joymee and Wai Wai scored highest in this parameter. No requirement has been specified for fat. Fat is an essential part of any balanced diet providing fatty acids, fat-soluble vitamins and a concentrated source of energy. A higher quantity of fat is considered to be better. Total fat was found between 18.6% (Yippee) and 13.2% (Joymee). It may be noted that Patanjali noodles claim to use rice bran oil. Top Ramen and Joymee claim to use palm oil; all other brands claim to use vegetable oil (in other words, they are not disclosing the type of oil used). Rice bran oil is healthier than palm oil. Calorific value refers to the amount of energy that our body obtains from an item of food when digested and it is expected to be higher in noodles. However, there is no requirement prescribed in the Indian Standard for calorific value in noodles. Highest energy was found in Wai Wai and lowest in Joymee. No requirement has been specified in the national standard for carbohydrate in instant noodles. Since carbohydrate is a source of energy, higher quantity is considered to be better. Carbohydrate was found in the range of 67.5% (Joymee) to 62% (Patanjali Atta). Calcium is a necessary nutrient that helps to form and maintain strong bones and teeth. It is also very important for other physical functions, such as muscle control and blood circulation. As per the recommended dietary allowance (RDA), daily calcium intake is 1,000 milligrams for those who are 19 years to 50 years old. Highest calcium content was found in Maggi (137.1 mg/100 gm). Top Ramen (20 mg/100 gm) had the lowest calcium content. MSG is a taste enhancer and it is difficult to determine whether it has been derived from natural ingredients or has been added. While dietary intake of monosodium glutamate is allowed under good manufacturing-practice level and within a limit, regular intake can cause severe health issues. MSG was found highest in Wai Wai (added and marked on label). It was lowest in Reliance Select. Iron, one of the most abundant metals on earth, is essential to most life forms and to normal human physiology. Iron is an integral part of many proteins and enzymes that maintain good health. It is expected to be higher in noodles. Highest iron content was found in Joymee; the lowest was in Maggi. Maggi had the lowest sodium content, which is good for consumers. Highest sodium content was found in Reliance Select and Wai Wai. Higher content of moisture can affect the shelf life of the product. As per the FSSAI advisory, moisture content in instant noodles should not be more than 12.5 per cent. All the brands were well within the prescribed limit for moisture. Highest moisture content was found in Maggi (6.9 per cent) and the lowest was in Wai Wai (2.8 percent). Sodium is a naturally occurring mineral found in many foods. It is used for seasoning as well as food preservation. Salt also inhibits the growth of bacteria in food articles. Sodium helps to control the amount of water in the body. World Health Organization (WHO) recommendation on sodium consumption for adults is 2 gm/day (equivalent to 5 gm salt/day). High sodium intake can contribute to high blood pressure and increase the risk of heart disease and stroke. As per Indian Standard, free acidity should not be more than 4 ml/100 gm. All brands except Patanjali Atta and Joymee were within the prescribed limit. Lead in all brands except Patanjali was below the detection limit. However, the lead in Patanjali was well within the specified limit. It was below the detection limit in all brands. Again, except Patanjali, all brands were below the detection limit. At the same time, the content of arsenic in Patanjali was within the specified limit. As per the FSSAI advisory, the percentage of total ash excluding salt should not be more than 1.0% in noodles. All the brands except Wai Wai (1.2 per cent) were within the prescribed limit. Microbiological contamination is a very serious issue for all food products. Microorganisms are responsible for many food-borne diseases. Due to improper or poor hygienic condition during the manufacturing process, microorganisms may occur in the finished product. Highest total plate count (TPC) was found in Patanjali Atta (82,000 cfu/gm); the least was in Top Ramen (Atta) (3,600 cfu/gm) and Maggi (4,800 cfu/gm). Salmonella, the name for a group of bacteria that can cause food poisoning in humans, was found absent in all the brands tested. Aflatoxins, which are highly toxic compounds and can cause both acute and chronic toxicity in humans and many other animals, were below the detection limit in all brands. Sensory (organoleptic) panel tests were conducted to judge the product on these attributes: color and appearance, flavour, taste, texture and overall acceptability. These tests were conducted in the lab involving panel members under the supervision of trained experts. Ratings were given on a scale of 5 – 5 for ‘most liked’ and 1 for ‘least liked’. The ratings were then converted into scores. Overall Score is out of 25. Maggi, followed by Reliance Select and Top Ramen (atta), topped in the overall sensory scores. Wai Wai was least liked. All brands provided the required information. It may be noted that Wai Wai had marked ‘added MSG’ on the label. Product packed in laminate plastic and sealed to prevent ingress of moisture. 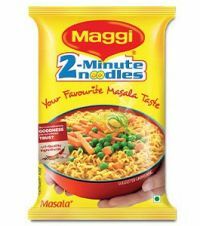 2 Minute Noodles : Product packed in laminate plastic and sealed to prevent ingress of moisture. Product packed in laminate plastic and sealed to prevent ingress of moisture. 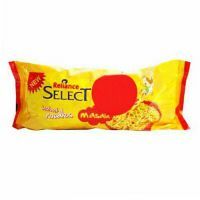 Reliance Select - Buy one get one free : Product packed in laminate plastic and sealed to prevent ingress of moisture. Product packed in laminate plastic and sealed to prevent ingress of moisture. Yippee : Product packed in laminate plastic and sealed to prevent ingress of moisture. Product packed in laminate plastic and sealed to prevent ingress of moisture. Joymee : Product packed in laminate plastic and sealed to prevent ingress of moisture. Product packed in laminate plastic and sealed to prevent ingress of moisture. Noodles : Product packed in laminate plastic and sealed to prevent ingress of moisture. Product packed in laminate plastic and sealed to prevent ingress of moisture. Atta Noodles : Product packed in laminate plastic and sealed to prevent ingress of moisture. The product should be packed in moisture-proof material or in suitable plastic film or moisture-proof bags sealed to prevent ingress of moisture. Within the permissible limit. Noodles : Within the permissible limit. Net weight should be as per declaration and not exceed the tolerance limit. Net weight in all brands except Wai Wai was found to be above the declared weight. In the case of Wai Wai, the difference between the declared value and the actual value was within the permissible limit. Noodles were cooked as per instructions provided on the label and cooking time, excluding time for boiling of water, was measured. It may be noted that all the brands had declared the cooking time to be 2 or 3 minutes. Wai Wai took the least time (two minutes) for cooking. It was highest for Reliance Select (four minutes). To Recieve updates and possible rewards for Noodles please sign in.